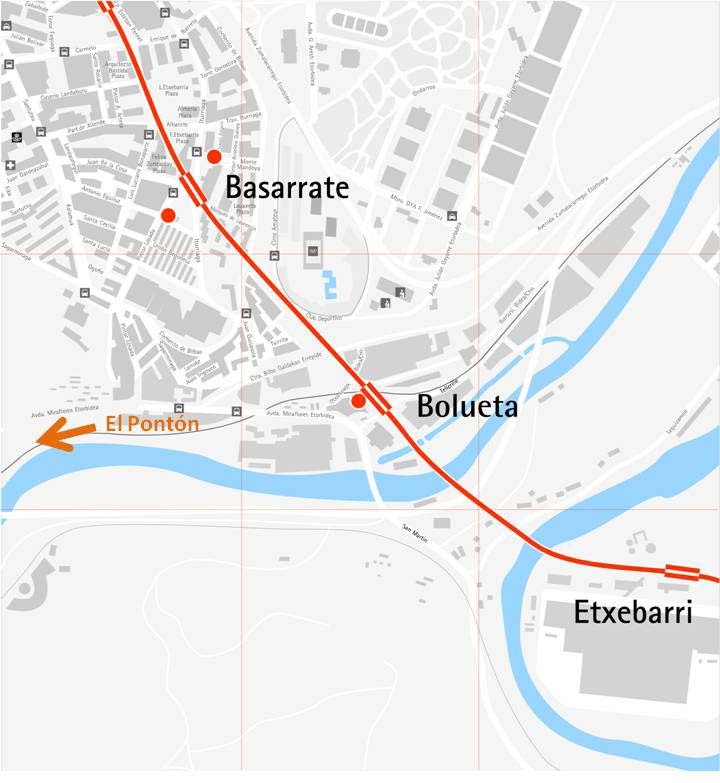 Leave Bolueta station and walk down the road leading to El Pontón, and you will see a chimney next to the bridge which divides Bilbao from the next town. 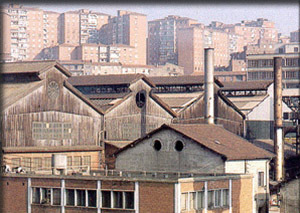 It is the last remnant of the former iron and steel company Hierros de Santa Ana in this place. 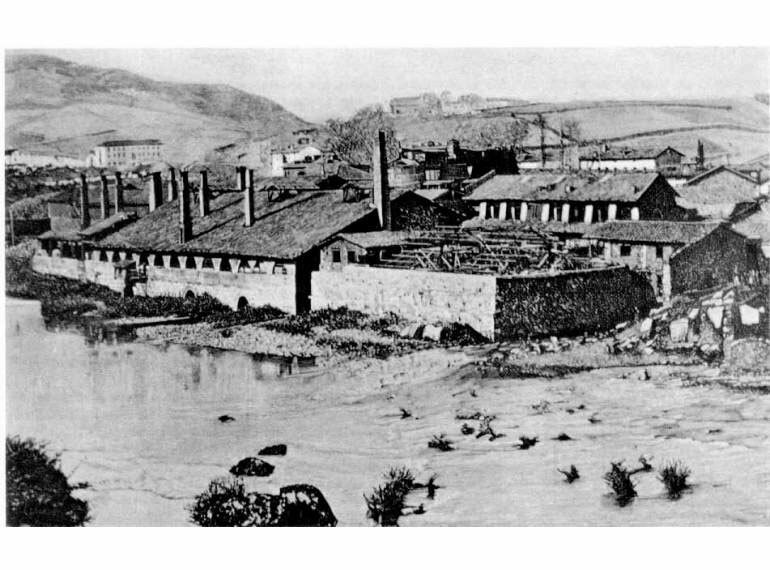 The company (1841-2007) was the first corporation in the Basque Country and one of the first to work iron industrially, although its production facilities, typical of the first industrial revolution, were closer to the mills of previous foundries than to the steel mills that emerged after 1870. 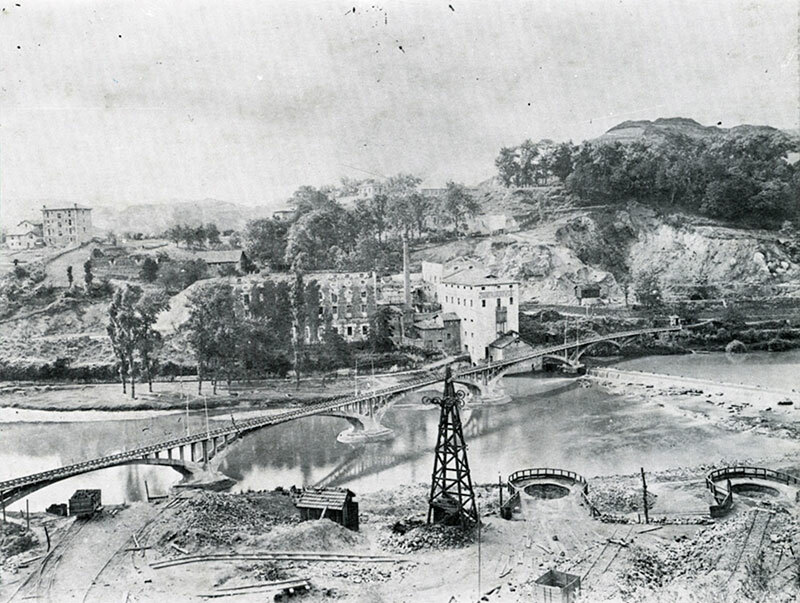 The empty land near the chimney will be occupied by a large government-backed urban and residential operation. 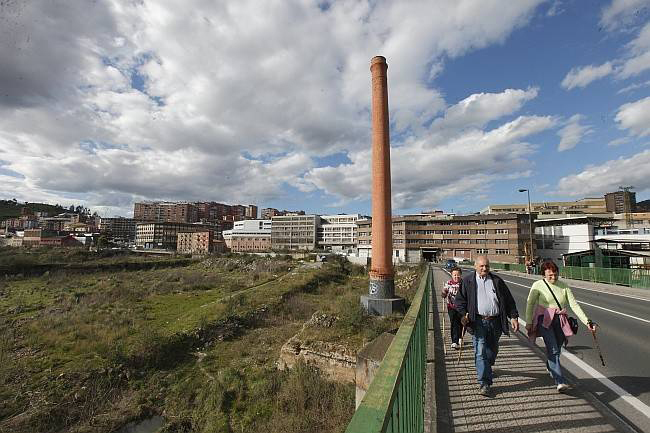 The walk begins at the old flour factory El Pontón (1). 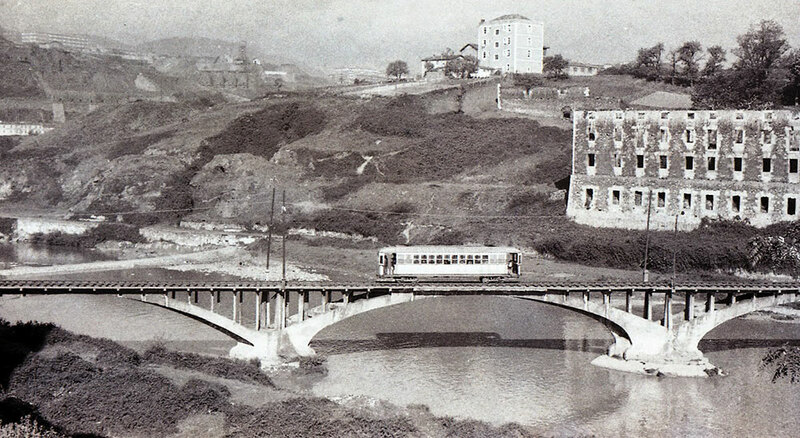 Only the bakery building remains and it has been converted into an ikastola (a school where classes are taught exclusively in Basque). 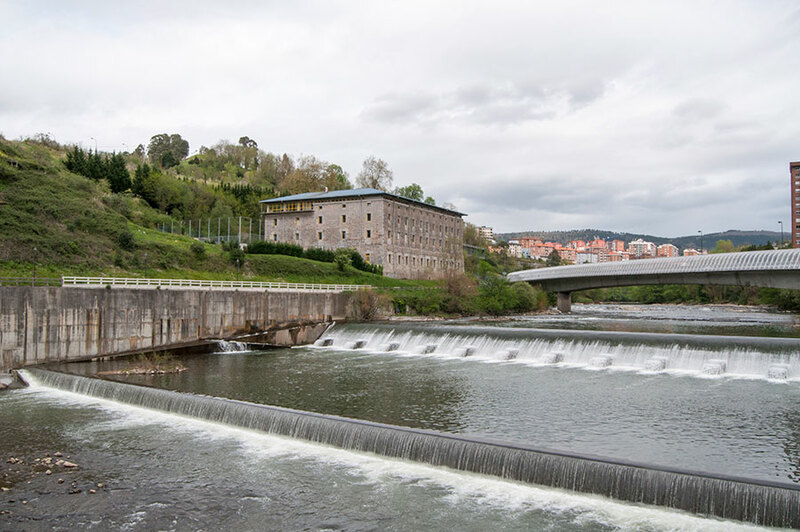 It was built in 1793 to ensure the supply of flour to Bilbao and, with its layout and division of labour and work areas, is considered the first significant industrial building in the Basque Country. 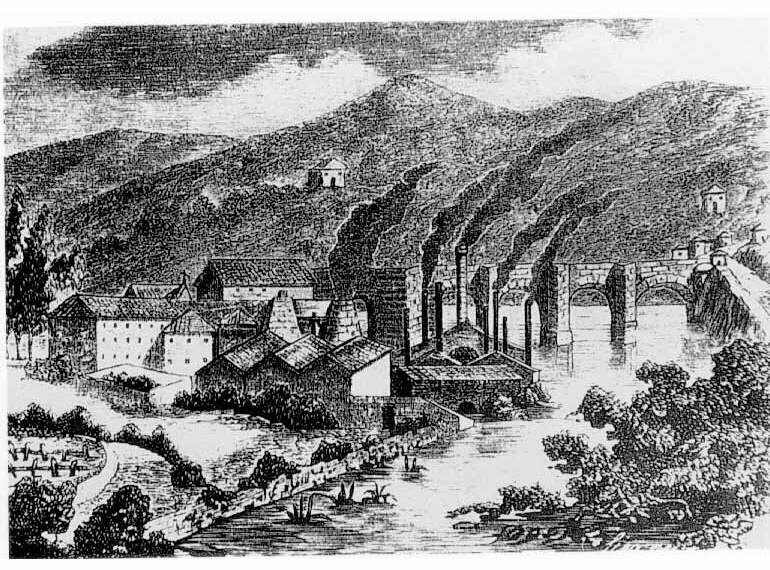 The fact that it looks like a monastery or a prison can attributed to both the lack of previous references and to the custom of setting new industries in buildings with a style which the inhabitants were familiar with. 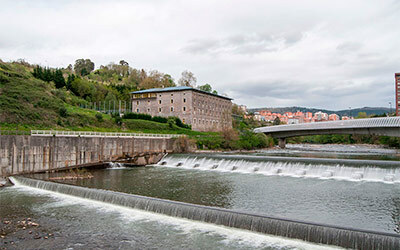 The work is a building of Cultural Interest and is part of the neoclassical vanguard in Bizkaia. 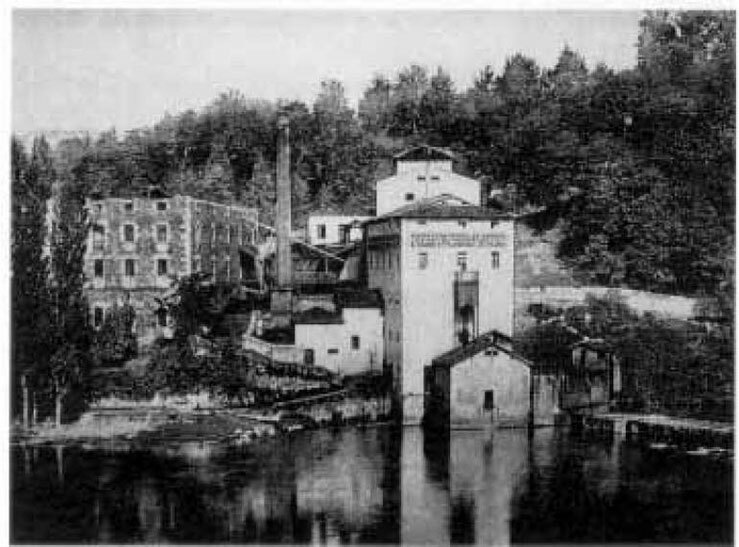 The building is a monumental cubic mass, with a four-pitched roof adapted to the slope of the terrain, with four floors on its south-eastern side and three on the other. 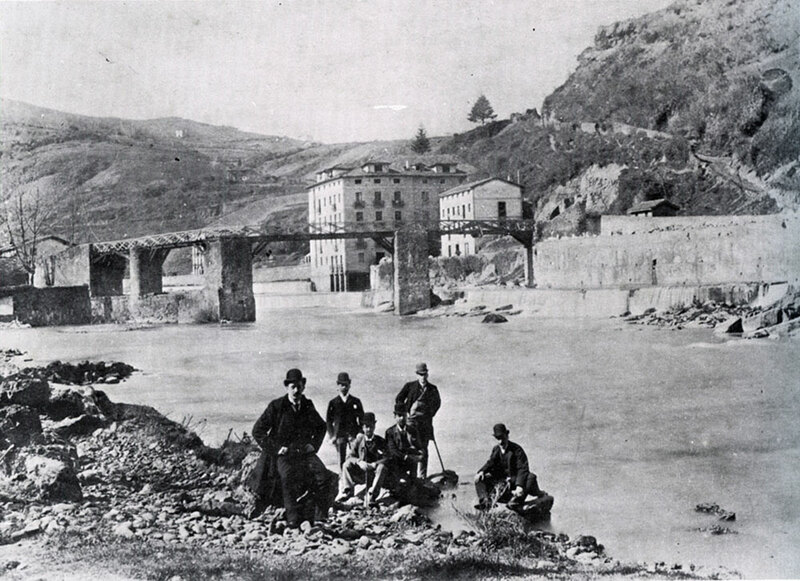 Interestingly, in the journey of destruction and rebuilding after the Carlist Wars, the building was occupied by Miraflores Lingerie Factory (1844-1874). 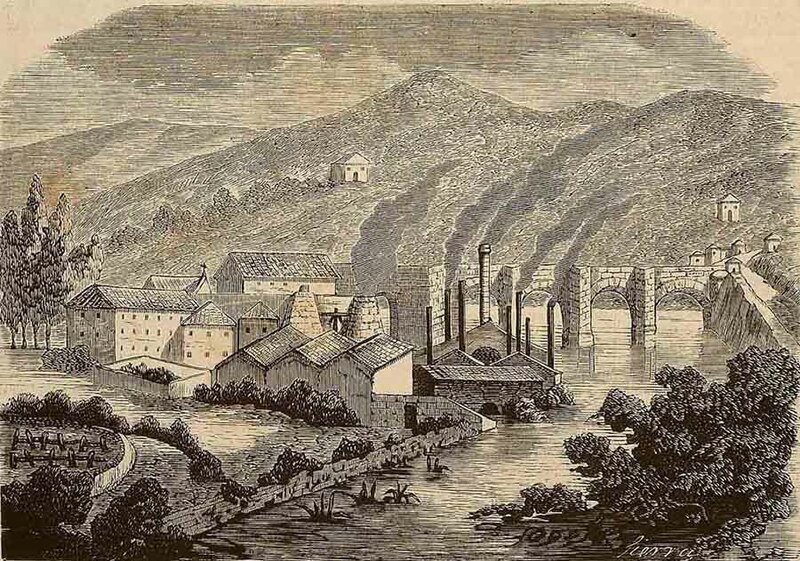 Despite its name, it made raw canvas, tarpaulins and fabric for espadrilles and bags. 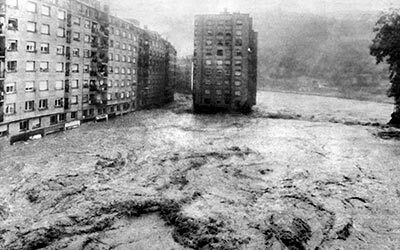 Much of this walk was affected by the terrible floods of 1983 that changed the configuration of many streets, neighbourhoods and infrastructures near the river. 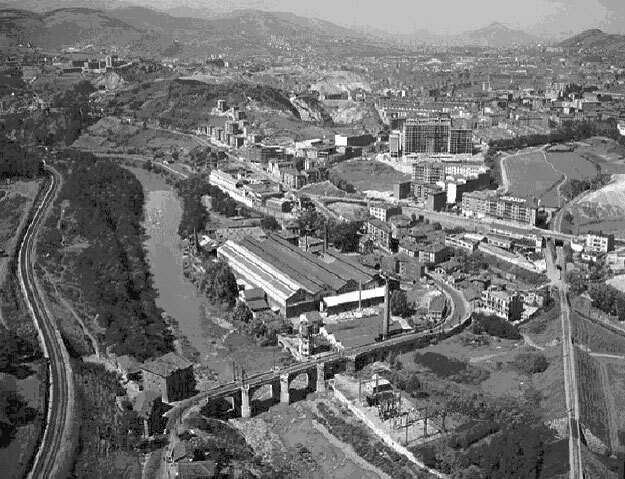 The phenomenon was the last straw for a dirty, polluted industrial Bilbao, but it was also an incentive for tackling a new style of city.